SIMCO Industries has introduced a product line called Enterprise, a molded plastic container designed for those larger places that need a secure protection to hold their manufactured electronic components. Electronic components need a protective environment that will shield them from wind, rain, dust, and air pollutants. Although many containers have been produced, they are often too flimsy or too small to hold the more complicated and delicate instrumentation required in today’s manufacturing environment. SIMCO’s handheld enclosures are perfect for virtually any handheld electronic device. These DISCOVERY Series enclosures are as economical as they are attractive. 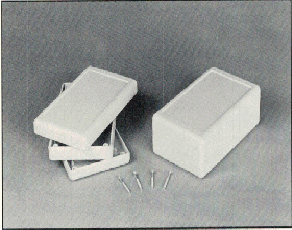 When they were developed, DISCOVERY Series enclosures were SIMCO’s smallest enclosures to date. DISCOVERY Series enclosures are designed specifically to be used for any type of handheld device like remote controls, keypads, or other portable applications. The DISCOVERY Series handheld enclosures are specially made to give the user a greater amount of flexibility. There are four different combinations of tops and bottoms. These different tops and bottoms are interchangeable, creating four distinct styles that can then be further customized with the custom tooling inserts for a unique design. The custom tooling inserts provide an affordable option for customizing these handheld enclosures, saving time and decreasing costs while giving the product unique functionality and looks. 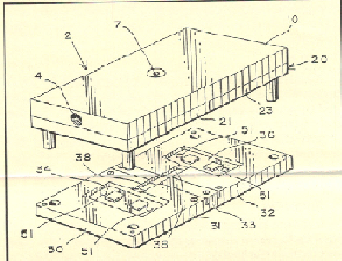 Openings for custom displays and controls, cut-outs for switches and connectors, bezels, and speaker grills are all features that can be molded in this way for further customization. There are two top covers to choose from. One is a sloped version with a high-tech, aerodynamic profile with sleek, flowing lines for products with a high visibility. The other is a standard cover which is perfect for general applications. The design is simplistic, yet not unattractive, and very functional. Two bottom cover styles are also available. One of the bottom covers is plain, while the other includes a battery compartment. The battery compartment is tension loaded and includes a removable door and a positive lock. Both of the bottom covers include card guides and screw mounting bosses. Recessed areas for adhesive rubber feet can be also molded in as needed to make the product skid resistant. SIMCO uses only high impact ABS plastic for the DISCOVERY Series. ABS is scratch resistant with a velvety soft texture. The standard available colors are black, beige, PC bone grey, and dark grey. SIMCO offers other options including EMI/RFI shielding, UL approved materials, and custom colors. SIMCO also has another size off-the-shelf enclosure that was designed according to customer requests – the CHALLENGER Series 150×75. The top and bottom of the 150×75 enclosure will be customizable with the use of a tooling insert. As with all SIMCO CHALLENGER Series enclosures, it has a recessed area. This area will house the tooling insert, which will make customizing the enclosure much more economical. Other special features can be molded to minimize customization costs including battery compartments, vent slots and other cut-outs. Inside, this new off-the-shelf enclosure will include card guides and mounting bosses. These will aid in assembly. SIMCO has also made available front and rear panels for the 150×75. Just like the other CHALLENGER Series and DISCOVER Series SIMCO enclosures, the 150×75 are molded from high impact ABS plastic materials. ABS gives the enclosures a comfortable, if not ergonomic, soft suede or velvety feel and is scratch resistant – an important feature for handheld enclosures. The 150×75 is an important part of the SIMCO Challenger Series of off-the-shelf handheld enclosures. The CHALLENGER Series by SIMCO is a line of over a dozen new, plastic injection molded electronics enclosures. 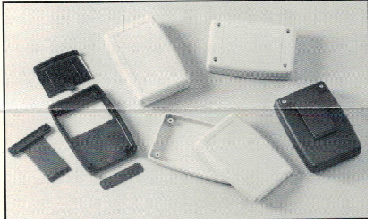 Many of these enclosures are completely new sizes that were designed according to the requirements of existing SIMCO customers. 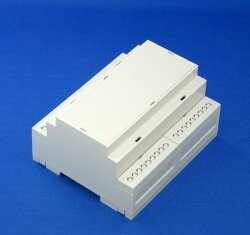 Others include completely new options that make the electronics enclosures more versatile for SIMCO’s customers. The CHALLENGER electronics enclosures are constructed from the same high impact ABS material as other SIMCO products. The material gives the enclosures their characteristic soft, velvety feel while still being scratch resistant. CHALLENGER Series enclosures are available in SIMCO’s three standard colors – Black, PC Bone Grey, and Dark Grey. Available options with the CHALLENGER enclosures include EMI/RFI shielding, UL 94V9 approved materials, and other options that add value. SIMCO’s ENDEAVOR Series includes four pocket size plastic electronics enclosures that are very versatile. All pocket size enclosures are available either with or without battery compartment access. These enclosures are perfectly designed for a wide range of small electronics applications like security devices, programmable remote controllers, testing equipment, and medical devices. Their ergonomic design includes a curved contour and round corners that make the enclosures ideal for handheld devices as well. SIMCO has a belt clip that easily installs to the back of these enclosures for attaching to a belt loop or pocket. Industry insiders marvel at SIMCO’s injection molding technique. With several patent applications filed, this injection molding technique is being used to save time, reduce costs, and offer more options and accessories for customizing SIMCO electronics enclosures. This technique overcomes the disadvantages of the previously used pneumatic and mechanical techniques. Customers have been requiring ever increasing enclosure customization. Changes are being made to various parts, especially to the front and rear panels that frequently need modified openings for different switches and controls. Previously, customizing enclosures in this fashion was cost prohibitive due to the increased lead times and the cost of molding custom parts. 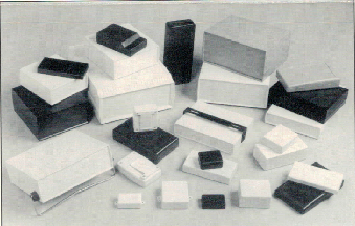 SIMCO set out to develop a technique that allowed it to fulfill customer demand for customized enclosures at a cost that is economically viable. The expander is able to solve the minor difficulty of designers and engineers of their handled devices being too large for the original Discover series, by providing height to an already functional product. Simco’s Discover series has become known for its innovative enclosures that are specifically designed to fit small-sized electronic devices. They offer impressive protection from the wind, water, and air pollutants and are available to fit the customer’s needs. However, with its new line in the Discover series, Simco delivers a product that fits the needs of customers with bulkier hand-held electronic devices. 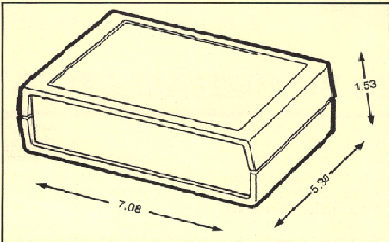 The Discover enclosures themselves are built at a height of 1.40”. The EXPANDER rings add an additional .5625”. This gives the entire enclosure a height of almost two inches. This large size is enough to fit almost any handheld device available on the market today. Simco’s expander for the Discover series can be added to any of the Discover enclosures with little installation. The Discover series has a panel and is screwed in with two screws. The EXPANDER ring is installed as simply as the rest of the enclosure. It fits snugly around each side of the enclosure and is held in place by four plastic screws and clear self-adhesive. The parts necessary for installation come included with the product. These rings come customized as well to allow either a unique appearance with contrasting colors or a simple matching color. They come in the same colors as the enclosures; sand, dark grey, PC bone grey, and black. Additionally, the EXPANDER rings come with a customized design for both top and bottom. 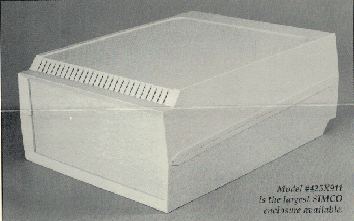 The 36SXRB comes with a sloped top, an XPANDER, and a plain bottom. The 36SXRDB comes with a sloped top, an XPANDER, and a deep bottom. The 36XR9VB comes with a sloped top, an XPANDER, and a 9V battery bottom. The 36TXRB comes with a plain top, an XPANDER, and a plain bottom. The 36TXRDB comes with a plain top, an XPANDER, and a deep bottom. The 36TXR9VB comes with a plain top, an XPANDER, and a 9V battery bottom. The XPANDER itself also has a unique style. In addition to the multiple available colors, it comes lightly textured. It can also be molded with any of the high-impact materials that the enclosures are made of. Because most of these molds are scratch resistant, it will increase the durability of the XPANDER ring. With the new XPANDER ring as an option, Simco’s Discovery series has become an ideal enclosure for almost any hand-held electronic device. This includes remote controls, portable equipment, and keypads, among other options. Its wide range of functional options and multiple designs also give it a customizable experience that will please any customer. 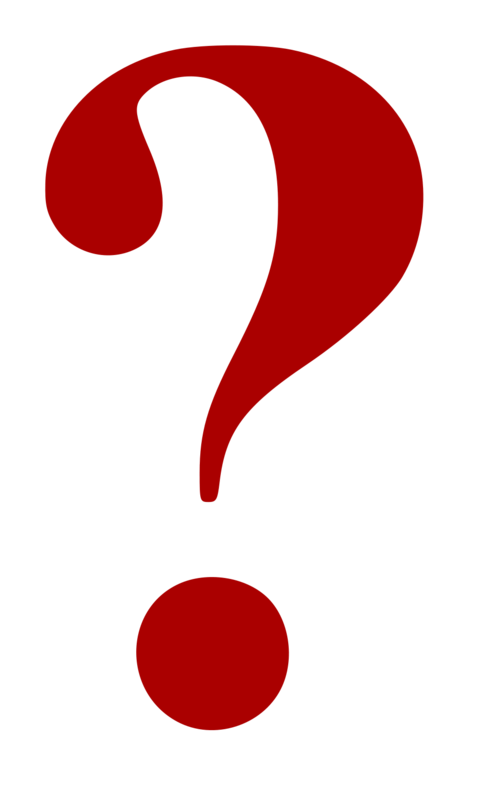 Q: How do I specify flame retardant material or EMI/RFI shielding when I order the enclosure I need? A: It’s easy to do. Simply, take the part # you would like to order: for example 250X6. First, specify the color: Black (BK), Beige (BE), Dark Grey (DG), PC Bone Grey (GR). For flame retardant material add UL to the part #. For EMI/RFI shielding add RFI to the part #. The order # for a 250X6 in Beige, flame retardant material and with EMI/RFI shielding would be: 250X6BE/UL/RFI. It’s that simple. You want your electronic devices to last and ensure that they will be serving your employees for years to come. You made an investment in your electronics, and your employees, for that matter, so why not make one more small investment and protect your devices inside plastic electronics enclosusre? Why, you might ask, do you need enclosures? All around us, every day, there are things that can cause harm to our sensitive electronics, not the least of which are radio frequency (RF) waves that are emitted by other electronics and electromagnetic (EM) waves that can come from a number of sources, including solar ejecta. While they provide us with the dazzling Northern Lights, they can also provide interference with the proper operation of electronics. Ever noticed your satellite TV signal fuzzing out on a clear, windless day? Chances are good that it is the result of electromagnetic waves. Now, imagine what that can do to your portable electronics. RF and EM waves can cause signals to be broken up, or even a loss of data while transmitting. The good news is that electronics enclosures can block these and keep your data safe. Whether pre-made or custom built, you can be assured your devices will run much more smoothly when they are properly shielded by these enclosures. Enclosures are made from high-quality and long-lasting molded ABS plastic so they are not only functional, but also attractive. The enclosure can even be made from a colored plastic to help it blend into your office setting better. Rounded corners provide a level of comfort too, should you bump into one of the enclosures. The device inside the enclosure is also shielded from damage due to dampness in the air, dust particles, or industrial dirt as found in a warehouse or fabrication shop. Dampness and electronics do not mix. The moisture can collect on the tiny metal components and corrode the metal, causing irreparable damage to intricate circuit boards. Dust might not seem like it would be harmful, since it is so soft, but it can actually get into devices and cause read/write errors or block up cooling fans. Electronics enclosures quickly become your electronic devices’ best friends, protecting them from the environment. Speaking of the environment, when you are choosing a company to buy your enclosures from, look for one that complies with the various governmental regulations about proper chemical handling and environmental standards. In the United States, OSHA has requirements about clean air and the number of volatile organic compounds (VOCs) that can be released safely. The European Union has passed some stringent regulations that govern how chemicals are handled and imported. This is covered by REACH, the Registration, Evaluation, Authorization and Restriction of Chemicals program that requires registration of certain chemicals above a set amount with the European Chemicals Agency in Helsinki, Finland. The EU also regulates six particularly dangerous chemicals, including lead, through the Restriction of Hazardous Substances, or RoHS, program. Companies like SIMCO that have been in business a long time have built their business on customer service and being kind to the Earth. Select your electronics enclosures from a reputable and trusted manufacturer and you will not regret your choice.